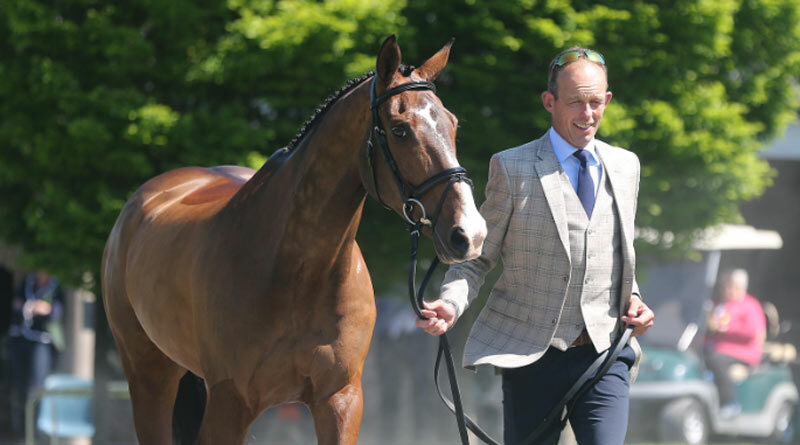 Irish eventer Jonty Evans remains in “a very serious but stable condition” following his fall on June 3, and has shown some early signs of progress in regaining consciousness, his family says. Evans, 46, is in a high dependency ward in the Connolly Hospital, Blanchardstown, West Dublin. The Welsh-born rider was moved there on June 20 from the intensive care unit at Beaumont Hospital, after his fall on June 3 at the Tattersalls Horse Trials in Ireland. “He remains very seriously ill, having suffered a significant brain injury in his fall and any recovery will take an indefinite period of time,” a statement released by Horse Sport Ireland said on Wednesday. “Jonty continues to receive expert medical treatment and rehabilitation from the staff at the Connolly Hospital. We are especially grateful to the nursing teams for all their wonderful care and treatment. Evans was riding Cooley Rorkes Drift when at the second element of a water complex in the CIC3* competition, the horse reportedly hit a flagpole coming out of the brush element. The combination went sideways, with Evans landing on the right side of his head and shoulder. Since his fall, the eventing world has rallied in support, with riders for all disciplines wearing Ireland’s green colours for the “#weargreenforjonty” movement.